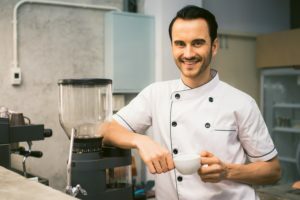 As you select the perfect employee uniforms for your team in 2019, consider these five key factors for choosing the best option. With the end of 2018 quickly approaching, now is the perfect time to consider new employee uniforms for your team. However, there are a few key factors to consider as you select the right uniform for your employees to wear on the job. As you select the perfect employee uniforms for your team in 2019, consider these five key factors for choosing the best option. Like anything else that you are purchasing, the quality of your next employee uniforms should be a top priority in your decision. High-Quality uniforms also ensure comfort, durability, and professionalism for the appearance of your employees. When you are choosing the right uniforms for your team, it is crucial to select high-quality uniforms that can stand up to the tasks of the job throughout the year. The safety of your employee should always be a priority for your business. Not only should your uniforms be high-quality and comfortable, but most importantly, they should contribute to the safety standards of your business. As you are searching for the right uniforms for your team, be sure to consider whether or not your employee uniforms are the right fit for the physical demands of the job to be completed safely. Comfort is another crucial factor in deciding on employee uniforms for your team. Not only is comfort an important factor for keeping your employees happy, but it is also an essential factor for productivity. The right uniform will enable your employees to work comfortably throughout their shift while also maintaining a professional appearance. Professionalism is a key factor in selecting the right uniforms for your employees. As your employees are working, they are also representing your brand and your level of service with every shift. By presenting your employees with high-quality uniforms for the new year, you are also ensuring that your brand and services will be well-represented to your customers. In addition to quality, comfort, and professionalism, it is also important to keep your budget in mind as you decide on your new employee uniforms. Would a uniform rental service be the most cost efficient? Consider each of your options as you decide on what will work best for you, your team, and your budget moving forward. This entry was posted on Friday, November 16th, 2018	at 10:22 am	. You can follow any responses to this entry through the RSS 2.0	feed. Both comments and pings are currently closed.